Betfair forged an amazing Reload Bonus for all its existing British players. 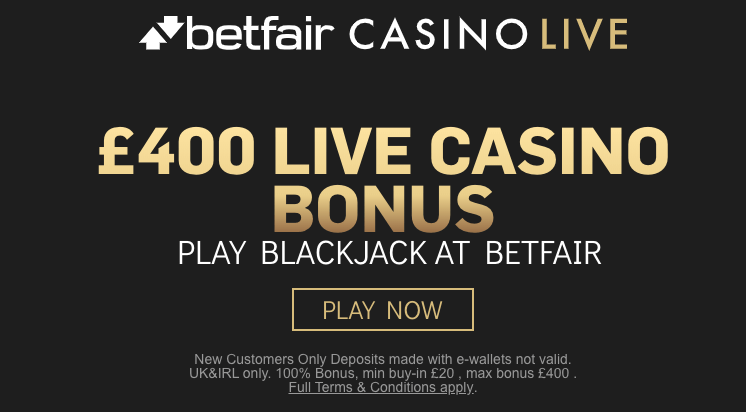 After making your 3rd deposit, you will get 50% up to £200 to boost your gambling sessions on Live Casino. Use it to play Live Blackjack and beat the dealer’s hand or bet on the right number and colour on Live Roulette and have lots of fun! Claim it by entering your account via this offer and making the necessary deposit. Keep in mind that any payments made with ewallets don’t qualify for this deal and you have to wager your bonus amount 30 times before withdrawing your funds. Claim this promotion and have fun like never before!